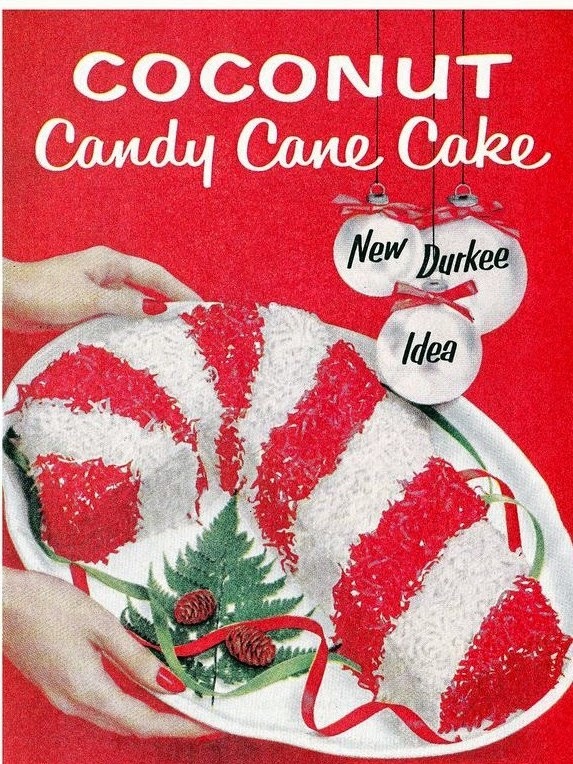 It is the boiled frosting, that is my undoing. One day I am going to over come my double boiler issue. 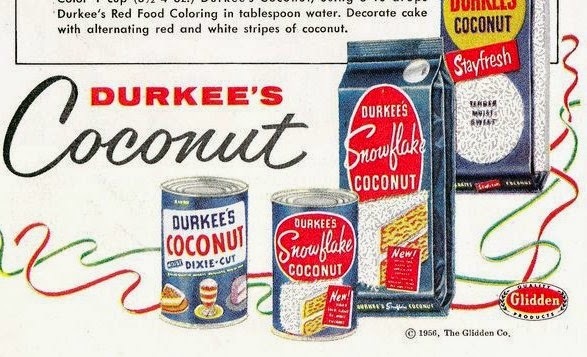 And make this basis coconut frosting and hope that is its eatable. 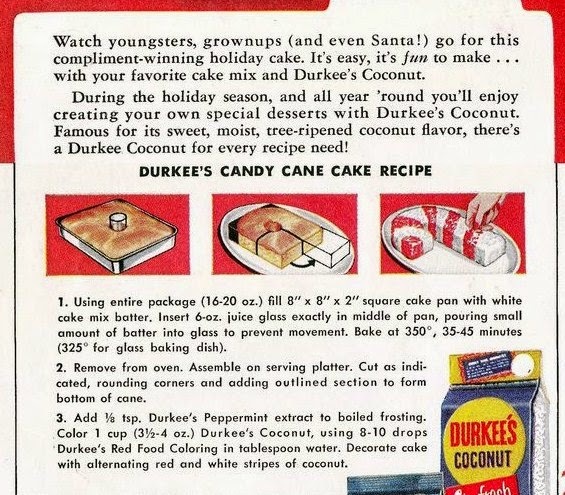 But in the meantime, I am loving this fabulous little Candy Cane Cake made with Durkee's Coconut!